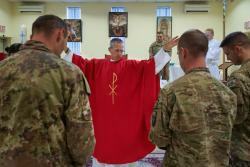 A film that explores the life of chaplains and their changing role in today’s world. Chaplains, airing Tuesday, December 11, 2018 at 6 p.m. on WXXI-WORLD (DT21.cable 1275), takes the viewer into the dynamic world of chaplains—men and women who represent their own particular faith tradition, but are trained to be of comfort and support to everyone—religious or not. Through personal profiles, the documentary explores the daily life of chaplains throughout society, from their role in the military and the workplace to their work in prisons and behind-the-scenes of NASCAR. 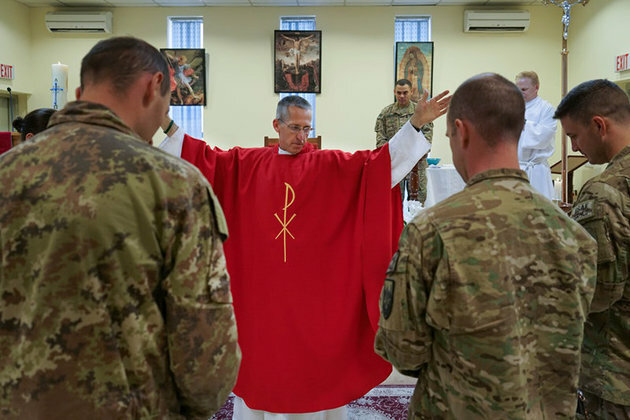 With a tradition dating back centuries, chaplains today are on the front lines—often in the midst of life and death situations— where the questions are the deepest, and the need for spiritual and pastoral care the greatest. The film provides a window into religious diversity in America today and the murky nature of the American principle of separation of religion and state. Through diverse stories, Chaplains offers a thought-provoking look at men and women on the frontiers of faith, whose work crosses denominational differences and provides comfort to a broad cross-section of people eager for help. These include stories with connections to this region. One segment looks at the work being done by Kathleen Ennis-Durstine and Margarita Roque, chaplains at Children’s National Medical Center in Washington, DC; and another segment examines chaplains on Capitol Hill who continue a tradition that dates back to the founding of the nation. Rev. Pat Conroy, a Jesuit priest is chaplain for the U.S. House of Representatives, and retired Navy Adm. Barry Black, a Baltimore native who is the U.S. Senate’s chaplain, are featured in the film. Chaplains repeats Saturday, December 15 at 12 p.m. on WXXI-WORLD.